Argentium sterling silver, Swarovski crystals and hand crafted lampwork glass beads are used in the creation of these earrings. 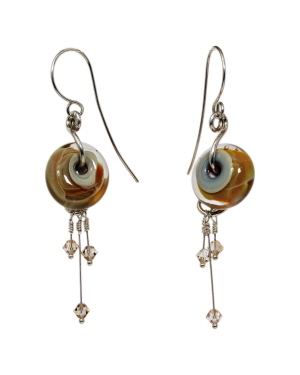 Color of lampwork bead brings to mind caramel candy. 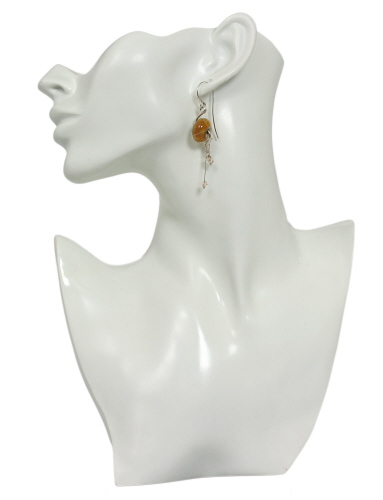 Earrings measure 2½ inches from top of earwire to bottom of dangle and weigh just 0.15 oz each.